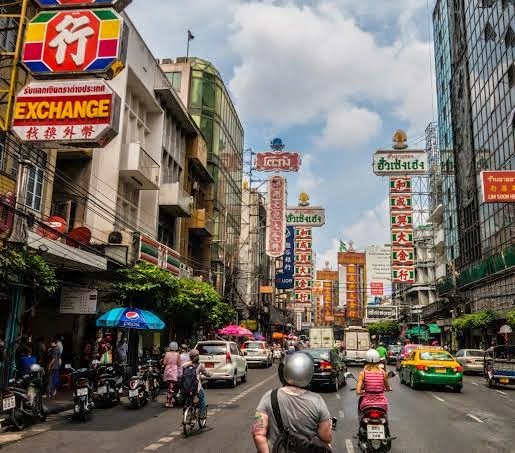 Continuing on with sharing my trip to Thailand, I wanted to share a really fun experience I had the first day I was there - a scooter tour of the city! Bangkok is infamous for traffic jams. It's a big city with a population of around 8 million people - about the same as the population of New York City. 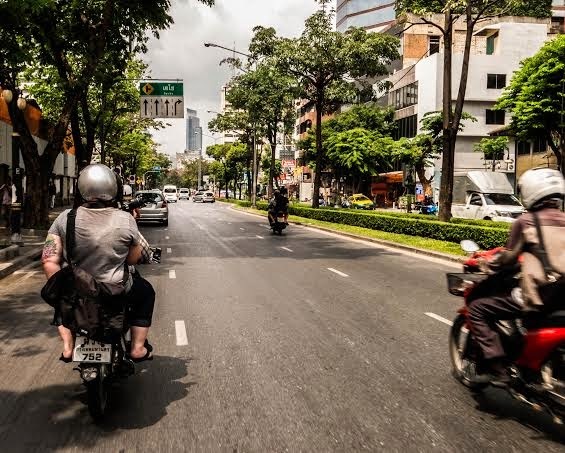 It can be hard to cover a lot of ground without the right transportation and I quickly learned why the one of the most popular methods of transport in Thailand is by scooter. Scooters are able to weave in and out of traffic, get off the beaten path, and cover a lot more ground than sitting in a traffic in a taxi ever could, so I am really glad I was able to set up a tour of the city via scooter on my first day there! 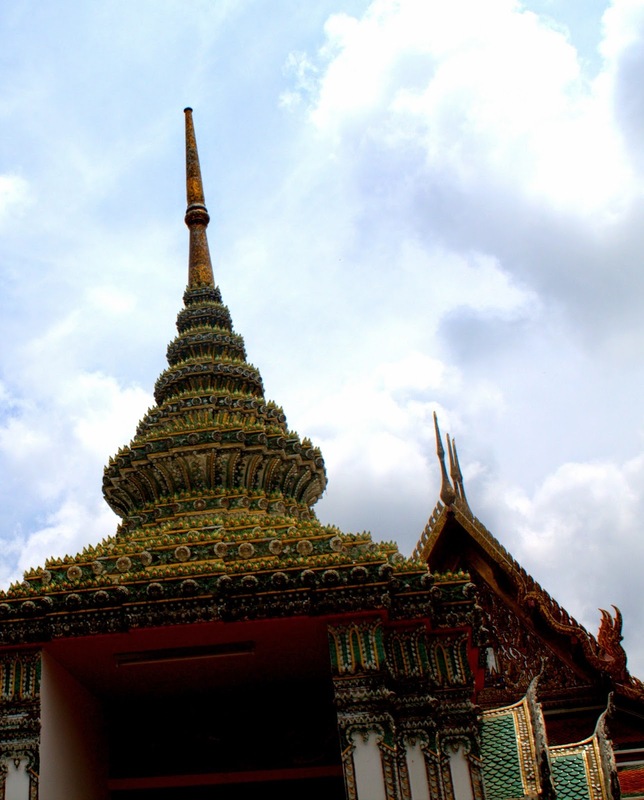 I booked my tour through Best Bangkok Tours and I am so glad I did! It was a perfect introduction to the city and the culture and it was also really fun and exciting! It gave me a good glimpse of the experience I was about to embark on! My tour guides met me at my hotel and set me up with a walkie talkie and professional scooter driver. I hopped on the back for the scooter, reluctant and nervous at first, but after a few minutes, I was so engrossed in the beautiful sights of the city that every fear or hesitation I had just melted away and quickly turned to excitement and enchantment! Weaving in and out of traffic and feeling the wind on my skin, I felt such freedom and I felt like I was seeing Bangkok like a local. I was lucky enough to have the benefit of the knowledge of two guides as one was training! Both Susan and Leighton were lovely, they were both American expats who obviously had a deep love and appreciation for the city they were showing me. I learned so much in my hour and half tour and I saw so much in that short time. Not only did I get to see the traditional sights you find in the tourism books like the flower market and Chinatown, but I also got to see the more "secret" local gems like the best happy hour spot to see the sunset. I felt much more like I was seeing Bangkok as people live in it instead of just the tourist viewpoints. 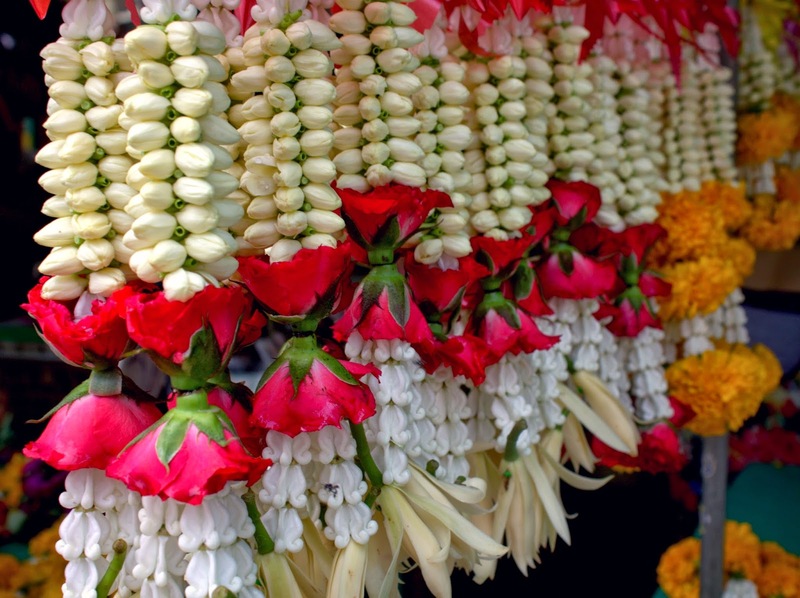 My guides answered every question I had and gave me extensive insight into the Thai culture and the little nuances and customs that differ from life in the States. It was an absolutely perfect way to be introduced to the country I would be spending the next two weeks exploring and it really helped me get my bearings in this big city. 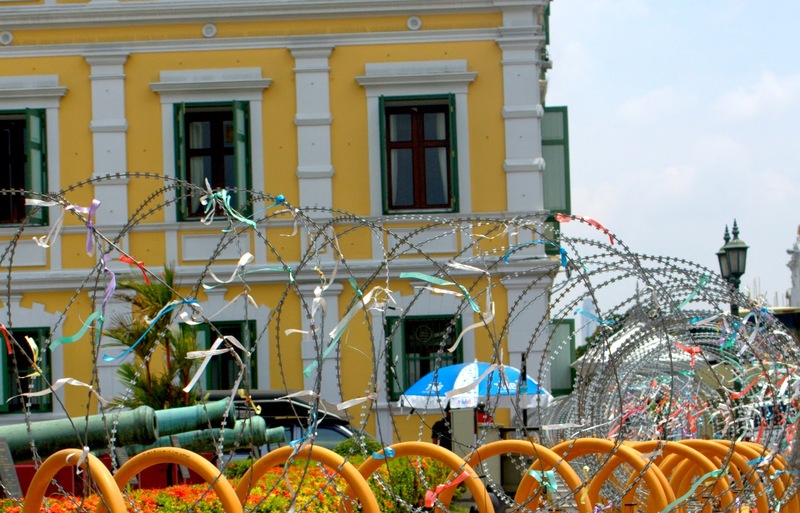 Before my arrival, I was uneasy over the news of violence and protesting in Bangkok, but as we drove past the Ministry of Defense building, my guide stopped to point out the small strands of pretty pastel ribbons that were tied along the bared wire. She explained that this was done by the protesters as an act of peace. It put things in perspective and perhaps shifted the way I perceived the situation and the Thai people. The juxtaposition of hard, guarded barbed wire with softly colored pretty pastel ribbons was striking and emotional for me. We also rode past the camps of the protesters and although I would keep my distance from the situation, I felt a little more at ease and gained new perspective. My guides made me feel safe and comfortable. There were a lot of breaks and chances to get off the scooter for quick photo shoots and exploration. They were both so sweet and gave me lots traveling tips and restaurant recommendations and really went above and beyond by letting me know that I could call or email them if I needed anything during my trip. 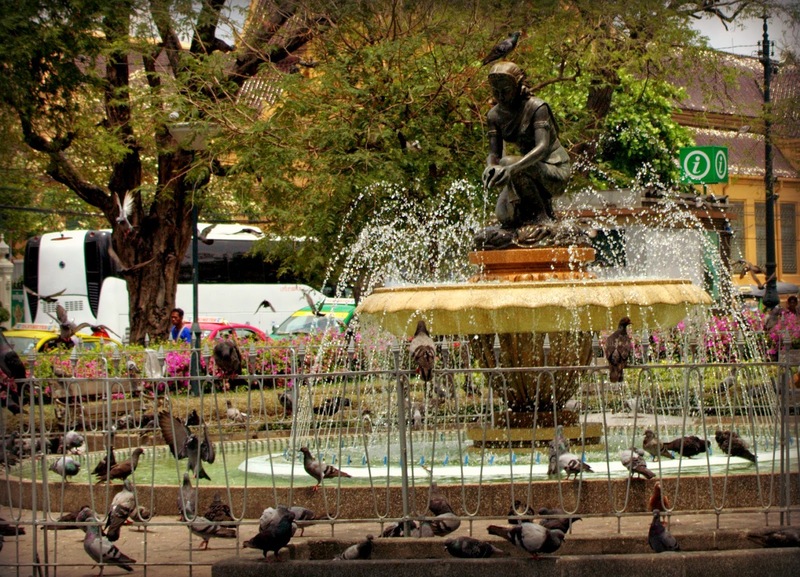 As a solo traveler, it is really lovely to be able to dive in and really get a chance to experience the city in that way with so much helpful guidance. After the tour, they even emailed me the customized google map with every sight that we saw so that I could easily make my plans to to back and spend more time visiting the sights that interested me most! So perfect! They also took some super cute fun photos for me and emailed them as a momento of our trip. 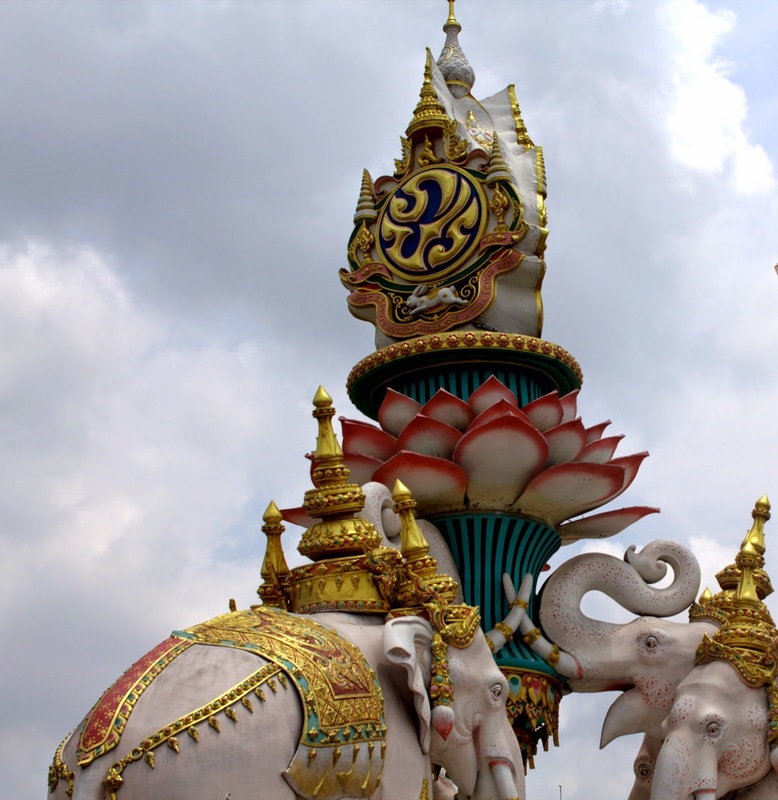 If you are planning a trip to Bangkok, I hope you consider going on a scooter tour with Best Bangkok! I really can't say enough about how wonderful it was!